We have passed hour # 4….It looks like we are right along schedule. The rub has started to turn that pretty shade of red cherry into a scarlet firey swirl of goodness. 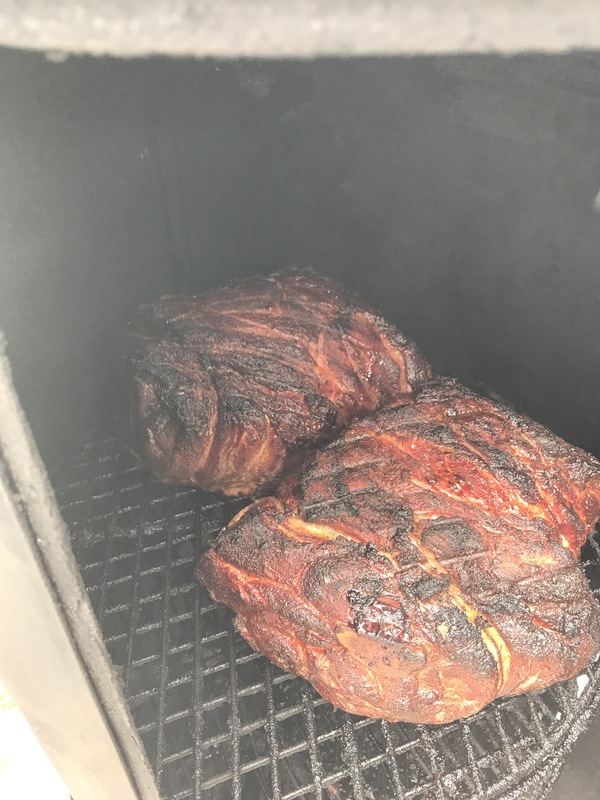 The flame doesn’t touch the meat on this stacked smoker. 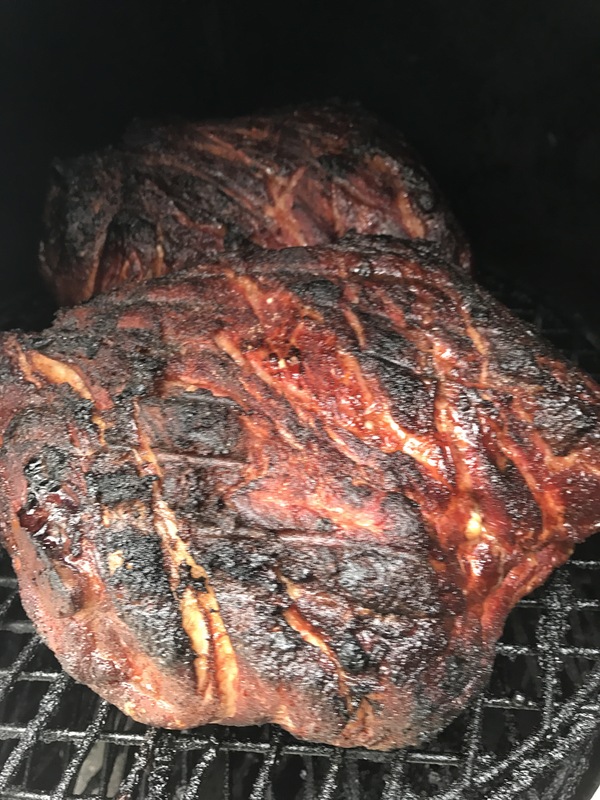 It’s all about how the tempered air, fused with all kinds of pure pecan/mesquite flavor, that pushes the savory buttons in my brain. 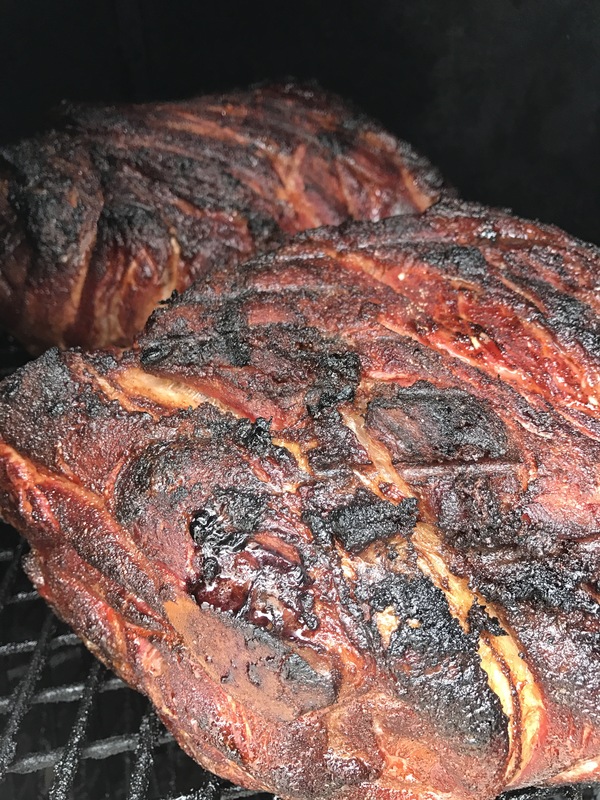 Don’t forget about that secret ingredient that every #BBQ50 fire gets!!! We are running into a little adversity with the weather, as it appears a little change is comin’. Not to worry, as we will get as much wood coaled up to keep the fire at a constant 235. Here she is! What do you think!!??!! Previous Working out on a Saturday morning!! Next This is what Sunday is all about!